Route 66, the Overseas Highway, the Badlands, the canyons: no country has more iconic driving routes than the USA. From free-spirited Beat writers to Tarantino tearaways, Depression-era outlaws to feisty feminist idols, America’s landscapes have been the backdrop for a host of epic journeys that have become legend. There’s something about being behind the wheel on a distant highway that evokes that most elusive of feelings: freedom. Unshackled by responsibilities, tasks and timeframes, a road trip symbolises the ultimate escape from everyday life – an odyssey where anything can happen and where the pleasure is found as much in the Journey as the destination. An easy five-hour drive direct, road trippers should allow at least a week to explore the varied delights that line the highway between San Francisco and Los Angeles, or take their time with our 10-day Journey. 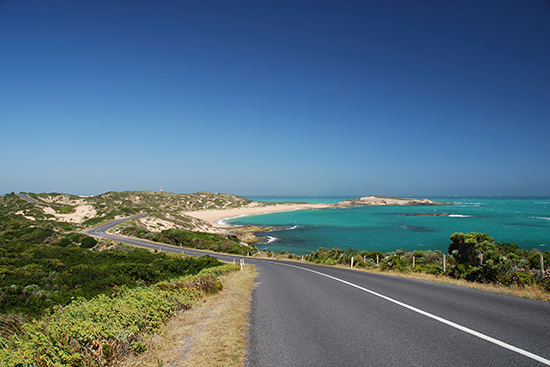 The two-lane road reveals breathtaking views at every turn, with lookouts to take a pause and watch the waves on the rocks and beaches below. Head south from San Francisco past the stunning Half Moon Bay and you’ll arrive at the surfing centre of Santa Cruz, with its boho downtown district and Americana-kitsch Beach Boardwalk, complete with roller coasters, cook-offs and an old-school carousel. 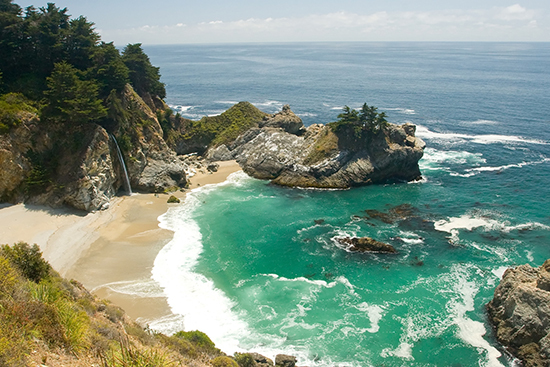 The road meanders on to the idyllic beach town of Monterey, basking on the shores of the Monterey Bay National Marine Sanctuary, a haven for sea lions, dolphins and whales. Known as the Serengeti of the Sea, it’s a playground for divers and kayakers, who come to explore the largest kelp forests in the USA, as sea otters soak up the sun. Back on land, there’s golf, hiking and horse riding, as well as dining and shopping at the historic waterfront districts of Fisherman’s Wharf and Cannery Row. Browse the nearby artsy enclave of Carmel-by-the-Sea before continuing south to one of the most stunning sections of your trip, Big Sur. A 1960s hippy hangout, this near-mythical region has long attracted artists, writers, musicians and filmmakers with its rugged peaks, beautiful bays, healing hot springs and soaring sequoia forests. It’s here that the Beat Generation’s Jack Kerouac came seeking solitude and salvation in a cabin near the dizzying Bixby Creek Bridge, recounted in his 1962 novel Big Sur. 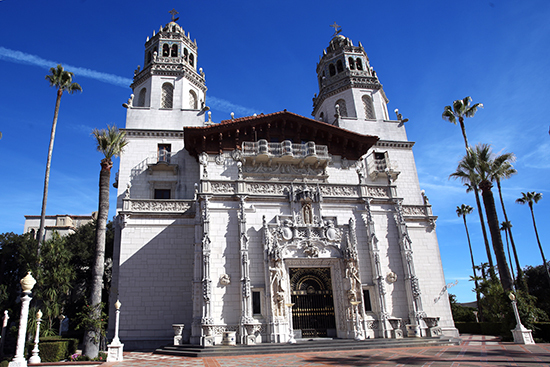 Along the coast, cabins yield to citadels at San Simeon, home to the opulent 20th-century Hearst Castle, rising majestically from The Enchanted Hill, while colonial Spanish mansions sprinkle the town of Santa Barbara, gateway to some of the state’s finest wineries. 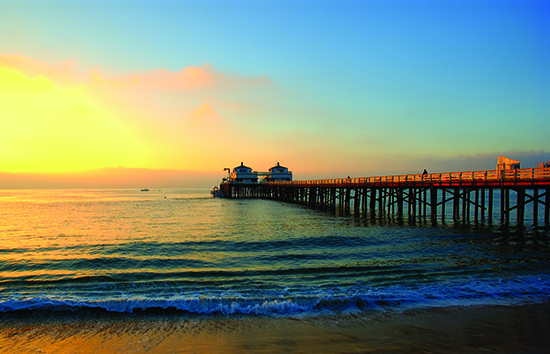 Explore the coastline and more with our tailor-made Calfornia holidays.